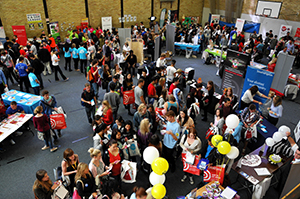 To support student enterprises, SUSU are offering significant discounts on stands at the events, although a limited number of tables are available so it is important to declare your interest as soon as possible. To do this, please fill out the form linked to below, in as much detail as possible. The form will be closed on Friday 12 September, with applicants being informed of their success in securing a stand on Wednesday 17 September. Please click here to view the application form.